Skied only a handful of days in total but mounted twice (PM for more info). 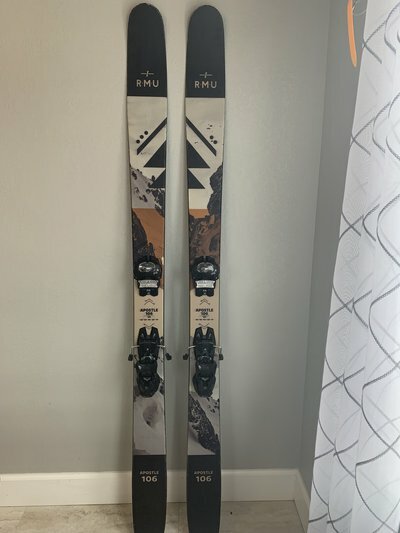 These are an awesome ski that's stiff enough to handle chunder, but the 5 point sidecut makes them super easy to pivot in tight spots. 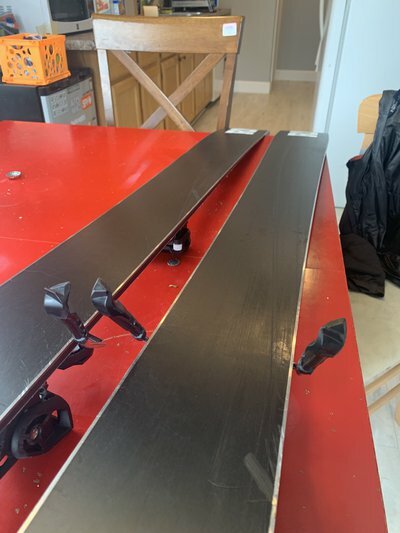 Bases are in good condition and have recently seen a full tune, minor surface scratches from 15 or so days of use but other than that these have never seen any core shots.